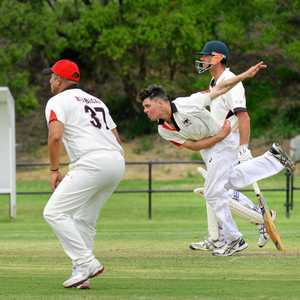 Queensland Times – VITAL ROLE: South East Redbacks bowler Vaughan Oldham will have added responsibility for his team. But with a core group from last season’s premiership-winning team of Chris Smith, Taylor Peach and captain David Richardson plus the recruitment of allrounder Cam Wood and opener Joel Hall from Redbacks, it should have them around the semi-finals again. Laidley are always the barometer of the competition with such a great team throughout the past 15 years or so. Last season’s grand finalists have secured the services of young Noah Emerson from Mulgowlie, one of the best batsmen in South East Queensland junior cricket. After recovering from last year’s niggling injuries, Oldham will be primed so you can never discount a Redbacks team this season. After five weeks of Harding Madsen Shield matches, the local competition will resume in mid-November, with the last two rounds of one-day matches before turning to two-day cricket.